The Law Offices of Todd M. Friedman provides exceptional service and advocacy for clients in Beverly Hills and throughout California. 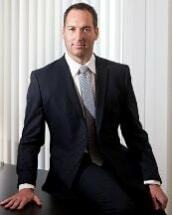 Attorney Todd Friedman has won numerous high-profile cases in a range of legal matters. The firm handles legal issues that include consumer protection, employee rights and other employment law matters, personal injury cases and related matters. The Law Offices of Todd M. Friedman has experience representing individuals in their legal claims as well as representing groups of plaintiffs in class-action claims. At the Law Offices of Todd M. Friedman, you will not be passed off to an assistant or unqualified associate. You will speak directly with your lawyer in your case, so you can rest assured that your legal concerns are being handled well. In addition to Todd Friedman being named to the California Super Lawyers list in 2016 and 2017, the firm has earned an A+ rating from the Better Business Bureau. If you have experienced discrimination or other mistreatment at work, suffered serious injuries in an auto accident or been taken advantage of in the marketplace, the stakes are high. Only trust your case to a lawyer you can rely on. Talk with an experienced attorney from the Law Offices of Todd M. Friedman. Call 877-619-8966 or contact us online to schedule a consultation with an experienced California lawyer.